JOY AFTER NOON is the story of Joy Hancock, her new gorgeous husband Ray, and his two daughters, Marianne and Jenny. Marianne, a would-be ballerina, is haunted by the image of her deceased, perfection-demanding mother. Her younger sister, Jenny, longing for acceptance and companionship, befriends troubled and trouble-seeking Claudia, with dire consequences. Joy struggles to balance the challenges of career as a college professor coming up for tenure with those of her new family, while Ray faces an ethical dilemma at work. He must decide whether or not to blow the whistle on his colleagues following an ill-advised merger. At home he alternates between being distracted and irritable, and Joy misreads the signals as indicating his disappointment in her due to her failures—to live up to the model set by his first wife and to cope with the girls and domestic life. 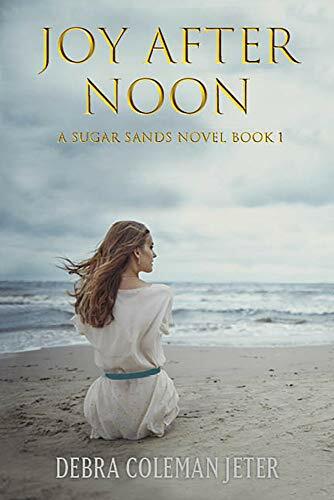 Joy After Noon is the first published novel in my new Sugar Sands series. I set the novel in the fictional beach town of Sugar Sands, Alabama. Initially, the idea behind my title, Joy After Noon, was that Joy’s life has been lonely (and joy has been elusive) since her parents died when she was sixteen, and she has about given up on finding love when she meets Ray. She comes into his ready-made family and, for a time, this seems like a mistake. However, in the afternoon of her life, she finds love and joy. Carl Jung says: “The afternoon of life is just as full of meaning as the morning; only, its meaning and purpose are different.”Jung goes on to describe life's afternoon as the time when we begin to shift away from the ego being the dominant force in our life and move toward a journey that has real meaning. •	Illustration of the importance of communication in marriage, and the dangers of being misunderstood when you fail to articulate your concerns.